Financial aid eligibility is contingent upon continued satisfactory academic progress toward a degree. Federal regulations require students to make Satisfactory Academic Progress (SAP) towards a degree in order to receive any federal student aid, including Federal Stafford Loans. SAP guidelines require students to meet both a Qualitative (Cumulative GPA) and Quantitative (Pace) standard within a maximum time frame. To remain eligible students must continue to meet SAP. Additionally, a student must progress through his or her educational program to ensure that they will complete the program within the maximum timeframe required for federal student aid. Students may attempt up to 150% of the credits normally required to complete a baccalaureate degree and retain eligibility for federal student aid. At the University at Albany, students must earn 120 graduation credits to receive a Bachelor of Arts or Bachelor of Science degree. Thus, students may attempt up to 180 credits and retain eligibility for federal student aid. However, students must also complete a percentage of credits attempted each year as shown on the academic progress chart below. Transfer credits accepted by the University are considered to be attempted and completed credits for this purpose. Progress towards the degree will be measured once each year, at the completion of the Spring semester. Students may restore eligibility for federal aid when they meet the standards outlined in the SAP policy. Course Withdrawals: Credits for courses with a grade of W will be counted as attempted credits, but not credits earned in determining Federal Satisfactory Academic Progress. Transfer credits: Transfer credits accepted by the University are considered to be attempted and completed credits in determining Federal Satisfactory Academic Progress. Change in Major: A change in major has no impact on academic progress. All attempted credits and grades earned will be counted when assessing progress. Students who are not making satisfactory academic progress will lose their eligibility for federal student aid. Students may appeal to the University if they feel there are special circumstances that affected their ability to make academic progress. Reasons for appeal may include: a death in the student's immediate family, serious injury or illness or other mitigating circumstances that may have prevented the student from meeting SAP requirements. If you feel there are special circumstances that affected your ability to make academic progress and wish to request a waiver of those requirements, please go to https://albany.verifymyfafsa.com/account/login to create an account and/or login if you already created an account and complete the SAP Appeal form. If you are having problems uploading documents, we suggest you try using Google Chrome. If the appeal is approved, students will be placed on an academic improvement plan and notified in writing that they are on financial aid probation for one additional semester. Students on probation are eligible to receive financial aid, but are subject to the University's policy regarding review and dismissal for academic reasons. Questions regarding academic progress should be directed to the Office of Financial Aid. Note: A student on financial aid probation for a payment period may not receive federal aid for the subsequent payment period unless the student makes satisfactory academic progress or the institution determines that the student met the requirements outlined in the academic improvement plan. Federal regulations require students to make satisfactory progress towards a degree in order to receive federal student aid, including Federal Stafford Loans. Satisfactory academic progress (SAP) is measured by the pace at which a student must progress through his or her educational program to ensure that the student will complete the program within the maximum timeframe required for federal student aid. SAP is reviewed on an annual basis. There are two components to the policy. A student must be in good academic standing to maintain eligibility for federal financial aid. Graduate students must achieve and minimally maintain a 3.0 cumulative GPA. Those with less than a 3.0 cumulative GPA at the end of the 2nd year will retain eligibility for financial aid only if they meet the percentage of credits earned as indicated below and are allowed to continue studies at the University. A student must demonstrate progression in their program by accumulating credits at the defined pace. For graduate students, they must successfully complete 75% of the total credits taken and will have 4 semesters to achieve the 75% standard. After 4 semesters, a student must have successfully completed at least 75% of all credits attempted in order to be eligible for federal financial aid. Please note: The University defines the maximum expected timeframe for students to complete their educational program. See the Graduate Bulletin for more information. If the appeal is approved, students will be notified in writing and placed on financial aid probation for one additional semester. Students on probation are eligible to receive financial aid, but are subject to the University's policy regarding review and dismissal for academic reasons. Questions regarding academic progress should be directed to the Office of Financial Aid. Note: A student on financial aid probation for a payment period may not receive federal aid for the subsequent payment period unless the student makes satisfactory academic progress or the institution determines that the student met the requirements specified by the institution in the Satisfactory Academic Progress Waiver Form. In order to retain eligibility for New York State scholarship and grant awards, students must be in "good academic standing", which is comprised of two components: Satisfactory Academic Progress (SAP) and Pursuit of Program (POP). Satisfactory Academic Progress--a requirement that students accumulate a specified number of credits and achieve a specified cumulative grade point average each term, depending on the number of state award payments students have received. For summer half-time accelerated payments, the above percentages are applied to the minimum half-time requirement (six credits on a semester calendar) to determine pursuit of program. The pursuit of program requirement is continuous as a student passes from undergraduate to graduate study; payments a student received as an undergraduate are added to graduate payments to determine the number of payments. Students who do not complete the minimum number of credits in a given semester are ineligible for New York State financial aid for the following term, or until additional credits are completed to reach the minimum level. Grades of "I" must be completed within one semester to have the credits counted toward pursuit of program. Non-remedial students first receiving NYS aid in 2010-11 and thereafter. EOP and Remedial Students, and all students first receiving NYS aid in 2009-10 and earlier. Remedial Student-(a) A student whose scores on a recognized college placement exam or nationally recognized standardized exam indicated the need for remediation for at least two semesters, as certified by the college and approved by the New York State Education Department (SED); (b) a student who was enrolled in at least six semester hours of non-credit remedial courses, as approved by SED, in the first term they received a TAP award; or (c) a student who is or was enrolled in an opportunity program. Remedial Course-a non-credit course designed to remedy academic deficiencies so a student can be successful in a college-level study, and approved by SED. The amount of time for the course must be equivalent to the time for similar credit-bearing courses. Non-remedial Students-Any student who does not meet one of the definitions of a remedial student is considered "non-remedial". *Payments a student received as an undergraduate are added to graduate payments to determine the number of payments. After five payments as an undergraduate and/or graduate, everyone is at the 100% pursuit level. Summer Accelerated Study: At UAlbany, enrollment for the summer term is always considered accelerated study. In addition to meeting general TAP eligibility criteria, students qualify for accelerated study awards only upon earning 24 credits applicable to their degree program in the prior two semesters at UAlbany. Transfer credits and winter session coursework cannot be used to meet the accelerated study requirement. The required 24 credits can be earned in any combination (e.g. 6 in the fall and 18 in the spring). For the purpose of determining eligibility for a state award for accelerated study at UAlbany, an earned credit is a credit for which the student has taken at UAlbany, received a passing grade and which is applicable to the student's degree program. The equivalent of three credits per semester may be remedial courses. Therefore, a student that has successfully completed three equivalent credits of remedial work in each of the prior two semesters would be eligible for an accelerated payment after having earned a total of 18 credits in the preceding two semesters or three trimesters. The statute allows substituting only three equivalent credits of remedial study per semester. As such, a student who successfully completes six equivalent credits of remedial work in one semester and no remedial courses in the next semester, would need to earn 21 credits in the prior two semesters to be eligible for an accelerated payment. 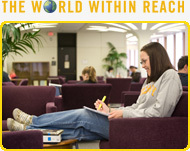 At UAlbany, all remedial courses are identified with the course subject OEOP. Requirements for accelerated study apply to all full-time study scholarships that do not allow for part-time study. Veterans Tuition Awards and Part-Time TAP Awards for Students with Disabilities are not affected by the accelerated study requirement. Loss of Good Academic Standing: Students who lose good academic standing in a term when they received a state grant or scholarship are not eligible for an award for the next term. Reinstatement of Good Academic Standing: Students who have lost good academic standing may restore this standing in one of the following ways: make up past academic deficiencies by completing one or more terms of study without receiving any state grants or scholarships; be readmitted to school after an absence of at least one year; transfer to another school, or be granted a waiver. One-Time Waiver: New York State Commissioner of Education regulations permit students to receive a one-time waiver of the good academic standing requirement. The waiver is not automatic, and may only be granted in extraordinary or unusual circumstances which are beyond the control of the student. There must be a reasonable expectation that the student will meet future requirements. To request a one-time waiver, students must submit a completed one-time waiver application along with appropriate supporting statements and documentation. One-time waiver applications are available in the Student Financial Center, CC G-26. If granted, the waiver becomes part of the student's financial aid record and the student is expected to meet good academic standing requirements thereafter. C Average Requirement: Students who have received the equivalent of two or more full years of state-funded student financial aid must have and maintain a cumulative GPA of C (2.0 on a 4.0 grading scale) or better to be eligible for continued state-funded assistance. Cumulative GPA for readmitted students who have previously attended UAlbany (including University in High School) is based on prior grades at UAlbany. Students who are denied an award for failing to achieve a cumulative GPA of C can regain award eligibility by completing appropriate coursework, without state support, to achieve a cumulative GPA of C. Students cannot regain eligibility by remaining out of school for a period of time. Waiver of the C Average Requirement: The C average requirement may be waived for undue hardship based on the death of a student's immediate family member; or the student's personal illness or injury; or other extenuating circumstances. To request a C average waiver, students must submit a completed waiver application along with appropriate supporting documentation. C average waiver applications are available in the Student Financial Center, CC G-26. If granted, the waiver becomes part of the student's financial aid record and the student is expected to meet good academic standing requirements thereafter. Repeated Courses: Courses in which the student has already received a passing grade cannot be included in meeting full-time study requirements for state-sponsored financial aid. Declaring a Major: To be considered matriculated for financial aid purposes, the New York State Education Department requires that the student declare a major by the beginning of the junior year. Beginning of the junior year is interpreted to be within 30 days of the end of the drop/add period. Students who later change their majors are still considered to be matriculated. Note: An intended major does not satisfy this requirement. When Eligibility Is Assessed: Students must meet citizenship, residency, high school graduation and good academic standing requirements as of the first day of classes for a particular term to be certified as eligible for an award for that term. Students must meet matriculation requirements, approved program requirements, full-time study requirements and tuition liability requirements sometime between the first day of classes and the certification status date for a particular term to be certified for an award for that term. a passing score on one of the four tests approved by the Board of Regents. The approved ability-to-benefit tests to be used to determine eligibility for State financial aid are: the Accuplacer, ASSET, COMPASS, and CELSA (Combined English Language Skills Assessment). The CELSA is approved providing the applicant also takes a math component from one of the other approved tests. first-time recipients must take and pass an approved ability-to-benefit test within the institution's add/drop period to establish award eligibility in that term. The approved ability-to-benefit tests to be used to determine eligibility for State financial aid are: the Accuplacer, ASSET, COMPASS, and CELSA (Combined English Language Skills Assessment). The CELSA is approved providing the applicant also takes a math component from one of the other approved tests. first-time recipients must take and pass an approved ability-to-benefit test before the first day of classes to establish award eligibility in that term. The approved ability-to-benefit tests to be used to determine eligibility for State financial aid are: the Accuplacer, ASSET, COMPASS, and CELSA (Combined English Language Skills Assessment). The CELSA is approved providing the applicant also takes a math component from one of the other approved tests.